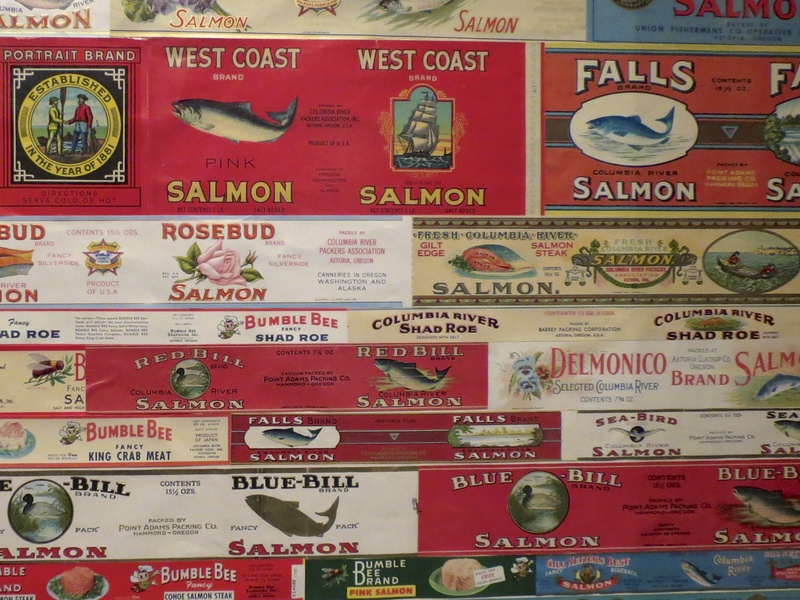 This collection of cannery labels is part of an exhibit at The Maritime Museum in Astoria, Oregon. In the early days of salmon canning- cans would rust. Tin can trivia! I’ll remember that one. Kind of fishy… at that!